The most updated and complete Product Management course on Udemy! You'll learn the skills that make up the entire Product Management job and process: from ideation to market research, to UX wireframing to prototyping, technology, metrics, and finally to building the product with user stories, project management, scoping, and leadership. We even have interviews with real life PMs, Q&A sessions with students, and a comprehensive guide to preparing and interviewing for a Product Management job. The demand for Product Management is increasing at an insane rate. More and more companies are finally figuring out how important this discipline and this role is to their success. But how exactly do you get into the field? There aren't any degrees in Product Management & there are no certifications. Most Product Managers get into the field through luck or connections. That ends here - we'll get you up to date on ALL the skills you need to learn Product Management AND have the best chance at getting the job you want. There's no more ambiguity to it. We'll show you what you need to know and what you have to do - all taught from a Product Management insider. Cole Mercer has been a Senior Product Manager at Soundcloud, Bonobos, Mass Relevance, and has taught the Product Management course at General Assembly in Manhattan, NYC. Evan Kimbrell is a Top rated Udemy instructor with 11 courses on everything Entrepreneurship. His courses have over 35,000 students, 1,000+ 5 star reviews, and an average rating of 4.9 / 5.0. It's a great course for someone who wants to start his/her career in product management. It seems comprehensive and have real world illustrations, which could be increased further. The instructors are both fun and friendly trying hard to get the fundamentals clear. Cole & Evan have different styles adding flavour and avoiding the course to become cumbersome and they really push you towards course completion. Overall a great learning experience ! Hello and welcome to our course on Product Management! I bet you guys are raring to go, but before we do that, let’s take a moment to talk about this course, product management, and ourselves. This is a real easy-going “lecture”. We’re simply going to say hi, introduce ourselves, and introduce this course, its purpose, its content, and its goals. Why product management and entrepreneurship go hand in hand. Who this course is ideally for. What this course will cover and how it’s structured. But don’t worry, it’s just an online icebreaker – stop by in the comments and say hi! Let us know what you’re working on and what you need help with. Don’t forget that we’re all here to learn about Product Management and/or are getting into the field. No one got anywhere without the help of others, so don't miss this opportunity to meet one another and network. Review sheets, activities, & resources - all in one PDF! So, what exactly is a Product Manager? How can a position be considered so essential if so few people know what it is? You know a position has an identity crisis when even Google doesn't know what you do. And Google knows everything. Including that you broke up with your first girlfriend via Facebook (not cool) and that your first email address was sk8terkid23. Yeah, with an 8. "The product manager is an important organizational role typically in a technology company. It is similar in concept to a brand manager at a consumer packaged goods company." Yeah.. Thanks Google. Crystal clear now. In this lecture, we're going to talk about the WHAT so that we're all on the same page. For those of you that thought this was a Luxury Management course because you thought you heard someone say "Prada Management", the door is on your right. What set responsibilities product managers have. Whether responsibilities change throughout industries. How product managers enable their teammates. At the end of the day, what are product managers responsible for? How fast can Cole say "ambiguity"? Let’s get basic – what is a product? Products, like ghosts, are all around you (read that in a spooky voice). Sure, it sounds simple, but there’s a lot more nuance to this than just looking up the dictionary definition. So, before we go any further, let’s figure out what the “product” in “product management” actually means. Just think of “products” as Patrick Swayze spooning you while you make pottery and you’ll be all set. Defining “products” for complex devices and systems. It's what everyone hated in school, the dreaded POP QUIZ. Except that it's not really a pop quiz because you knew about it... because you can read the course outline. We've watched two official lectures about the world of Product Management and you're officially more knowledgable on the subject than a vast majority of the world (and even people who work with Product Managers). Did the information stick? Can you demonstrate that YOU are the most worthy product manager, padwan? May the best prospective Product Manager win. Hey guys, welcome to the first activity of the course! Alright, so we've talked a bit about products and how the term can be pretty confusing. Product managers are not only people who manage an entire system; if a company is large enough product managers will actually be spread out throughout the greater platform. So a product could actually be a page. Or even just a button. Yes, the "product" one manages can be that microscopic. One thing that every product manager must understand is how every moving part of a product interacts with other moving parts. But to get to that point, they have to first understand and be aware of EVERYTHING their product does. Odds are if you took any of your favorite websites or apps, you could (with a little digging) find functionality or an entirely new subset of features that you never knew about. In most cases, the average user of a product only ever comes into contact with a small fraction of its features. Big: 320 million active users big. Bloated: 3,900 employees managing one of the worlds most overstuffed products. Fun Fact: Twitter started in 2006 and has in 10 years of operation never turned a profit. Twitter has a big and well known platform, as well as an army of product managers. In the attached PDF, we're going to take a quick tour of the main features of Twitter has. After you've acquainted yourself, let's get some awareness. Go to Twitter's website and try to find a feature or section that you never previously knew existed. What feature did you discover? Is it something small or an entirely new section you didn't know they had? Do you think anyone manages this part of the Twitter product? Do you think one product manager is in charge of it or a team? “Product Management” is one of those job descriptions that covers a very wide range of activities. The point of this lecture is to further familiarize you with the product manager role. By taking a look at the most common types of product managers you will gain a better understanding of what product management is and how it works. We’ll learn about what types of products they work on and how they fit into various organizations. Depending on where you are, your day-to-day activities can be wildly different. The three main types of PMs. What they work on and where to find them. Stakeholders – who they are and why they matter. In the last lecture we learned that there are three broad types of product managers. They cater to different stakeholders and have different responsibilities. This lecture is where you come in. We will learn exactly what personality types and what levels of experience each of the three PM types is best suited for. By the end you should have a good idea of which type you want to be. Most people wouldn’t be able to tell you the difference between product management and project management. Heck, if you’re not really paying attention, you may even mix up the words because they sound so similar. But they are two very different jobs, which is important to know if you want to get into product management. This lecture will put this to rest forever and finally explain the relationship between product and project management. They’re a bit like a yin and yang, but way more business-y. The differences (and similarities) between the two job descriptions. The types of projects they would each be working on. Project management within product management. It’s surprisingly hard to figure out what other people actually do all day, isn’t it? This lecture will show you what exactly it is that product managers do all day. Enjoy! My schedule on typical, and on atypical, days. The different people and processes the job involves. What I eat for lunch. Not sure if you want to become a Product Manager or just want to learn the skills? Take a pit stop in this lecture so we can point you in the right direction. Product management is easily one of the best jobs you can have at a company. In this lecture, Cole tells you specifically what a kickass profession product management is and the primary upsides to being one. Learn why product management is positioned to be one of the most connected and important parts of a company and what we’re going to teach you in this course that will prepare you for a successful career. If you're unmoved... well then... I guess we know what direction you should take. Let's make sure you're comfortable with the basic concepts of product management. We want to take a couple minutes to tell you about all the awesome stuff that we are going to give you. We’ve compiled some of the best materials we could find to help you through the course. We'll tell you how to access all of this FREE awesomeness. Also, we’re going to reveal a HUGE (and free) bonus you get that will make your product manager journey MUCH easier. Check out the video to see what’s inside. At the end of each section Cole and Evan compile questions they have for each other, as well as questions asked by students. We then spend some time discussing the questions and trying to cover every question that was nagging us through Section 2. Q&A videos can be found in Section 17. Let’s ask the question no one ever asks: Are products alive? Well, if you ask a product manager, then they might tell you that they are. That’s because products and the marketplace have a relationship that changes over time. We’re going to get into the nitty gritty of how Mr. Product and Mrs. Marketplace date each other. Is it always harmony and bliss and lots of sales? Or does discord loom on the horizon? What the four phases of the product lifecycle are. How to tell what each phase looks like. Real world examples of companies in each product phase. [POP QUIZ] Did You Catch All of That? Ready to apply the concept of the Four Product Phases? In this activity, we'll spit some products at you with a description. It's up to you to say which phase you think they are in and why. Products like: Groupon Getaways, Amazon Dash buttons, Meadow Marijuana delivery, Fullscreen, the iPad PRO, and Vinyl Records (curveball). Keep in mind, it's not always as straightforward as you would think. You'll have to think critically to get your answer - and be aware that you might not all agree! [ACTIVITY] Six Products Four Phases - Can you guess which? What do the companies look like that are in the various states of the product lifecycle? And how can we tell? What a real world example of a product lifecycle phase looks like. How you can tell where a company exists in the lifecycle. How to find examples of companies to compare. Let’s get our hands dirty! What do product managers need to know about product development? Well, a good starting point would be to know about the product development process. You might say that it’s a miniature version of the product lifecycle, but this is really about how we take an idea and turn it into a reality. Where to start with your product idea. What you need to do before you begin actual development of the product. How to test the assumptions you've made about the product. We’ve covered a good chunk of the product development process, but there’s always more to learn. Every product has a common journey, and decisions have to be made at every stage in that journey. How you make your product decisions will have repercussions further down the line. In other words, know this stuff inside and out! Do you want to know what Braveheart, Seinfeld, and product development have in common? You’ll have to watch this video to find out. How to make decisions about your product that benefit the company. What to do if your product doesn’t work out. Let's make sure you're comfortable with the basic ideas around product lifecycles and product development. If you want to get lean, you’ve got to cut out the fat! In this lecture, we'll learn what it means to get your organization lean. And when it comes to product management, getting lean is definitely in. So what is “lean” when it comes to our process and how can we do it? What it means to make your product development process lean. Why we want to have a lean process. Real world examples of what it would look like to go lean. How to be responsible about going lean. Now that you’re convinced that you need to be a lean mean product development machine, it's time to talk about "agile". In order to best serve stakeholders and conserve resources, we need to become adept at being agile. So what is the relationship between lean and agile and why are they important to a product manager? Explore these implications as you discover how to be agile. What it means to be agile. Why a product manager needs to know the difference between lean and agile. Practical examples of what it means to be agile. Why being agile can save you tons of resources. While "scrum" may sound like something you feed your pet shark, it’s actually a highly effective tool in the product manager’s toolbox. Coming off the last lecture, you might be wondering how exactly does one implement "agile"? Well, scrum is one of the more popular ways. Learn why you need to scrum, why you should stand up when you’re having meetings, and how to keep your product development process running smoothly. If you’re unsure about the step-by-step process of embracing agile, scrum is your first step. How scrum can help you be a more effective product manager. What scrum looks like in a day-to-day context. How you can implement scrum in your operation. Just when you thought you knew everything about scrum and agile, here comes scrum’s older, more lucid brother. Kanban represents a framework of product management that differs from scrum in a few key ways. What are the major differences between kanban and scrum and how can you use this knowledge to your advantage? You’ll only know on the other side. The difference between scrum and kanban. Which one of these two frameworks is best. When you think of a waterfall, isn’t product management the first thing on your mind? No? Well, after this lecture you’ll start thinking about products with every cascading fountain of water you see. Waterfall development is a well known development strategy that differs quite a bit from agile. Is one method better than the other? We'll discuss. How to distinguish the waterfall method from the agile method. The driving philosophy behind waterfall. Dangers to watch out for. Pretend that you’re working in product development for a shiny new company that’s making the world’s greatest app. Are you going to use agile or waterfall as your management methodology? Whatever you answer, it’s useful to SEE the real world applications of both methods in action- beforehand. Each one has strengths and weaknesses, and as a product manager, you need to have a good grasp of what they are. How to use agile in the real world. Why agile can sometimes spell disaster for your company. When you should be embrace waterfall. We just threw a lot of jargon at you. Did you catch it all? Welcome to the land of ideas and user needs! Have you ever wondered where a product actually starts? Does it come from a room full of bigwigs and “idea guys” who just sit around and spout dribble all afternoon? Whether or not you think that’s how products start to exist, there’s a whole world to explore around the ideas and needs we and our users have. Your job as a product manager can also feel pretty broad, so it's time to start feeling out the edges of your responsibilities. What your job as a product manager is. Why your role is so important in an organization. How to figure out where your role boundaries are. Just like your five-year old self asking where babies come from, we now turn to the age-old product management question, “Where do ideas come from?” Specifically, whose job is it to come up with awesome ideas for you to develop? And when ideas are developed, whose job is it to filter through them? A lot of questions come up once you start digging into the details, and we aim to answer some of those. Where your product ideas come from. How to handle different types of ideas. Why you probably don’t have to worry about running out of ideas. How to keep track of all the ideas. An enquiry into the origin of human...any philosophers in here? Let's see how you do. What are some of the biggest challenges you will face as a product manager? If you said, “being a mind reader” you’re only slightly wrong. A product manager needs a sixth sense of what’s really going on. When your users tell you they need something, is your first response to automatically give it to them or to dig deeper to find the reasoning behind their request? As we continue to flesh out what a product manager is responsible for, these questions need to be answered in order for us to move forward. How to understand a need. The difference between a real need and a fake one. How product managers should handle requests for features. Examples of how to dig deeper to find the real answer. Think about the users of your product for a second. You want to create something for them that makes their lives better, right? Now think about your customers. Are they the same people? And if they’re not the same, do they have the same needs? It can get confusing if you’re uncertain about the answers to these questions! What kinds of companies might have customers that are not users. The two kinds of feedback you can get and what to do with each. Real world examples of users and customers. Let's make sure you're familiar with the basic concepts behind ideas and user needs before moving on. Say you've always thought that donuts should be stuffed with superfoods. You've wondered if there are enough garlic and spirulina lovers out there - but those who are also ok with fried donuts. If these people exist, then cha-ching. If they don't, then you'll join the ranks of the other fantastic-but-fatally-flawed-flops. But how will you know? Sizing the market is the answer. In this lecture, we'll discuss how to count your strong-stomached-spirulina-and-donut fans and figure out whether they're likely to pay for something which is probably going to make them feel... well... gross. Why you need to know the size of your market. The difference between top-down and bottom-up market sizing. How to do top-down market sizing. How to do bottom-up market sizing. How to use Google to find market data. Learn about a tool to help you analyze competing website traffic. Why Adwords is helpful in market sizing research. The benefits of using social media in your research. Chasing down your competitors isn't creepy, it's essential knowledge for you as a product manager and as an entrepreneur. If you don't know who you're up against, you can't make intelligent judgments about your product strategy. Not to get all stalker-ish or anything, but the more you know about the market and the companies in it, the better - especially before you invest time, money, and resources in this one world-beating (you hope) product. Why you need to know about your competitors. The types of market circumstances you might be entering. Why it's important to know about a crowded marketplace before you get going. Two reasons a market might be wide open and free. What feature triage is, and why it matters to you as an entrepreneur. Sometimes you know who your competitors are. You know them so well that you dream about them and wake up trying to strangle your pillow while shouting about their sneaky, underhanded tactics. Sometimes you don't know who your competitors are, but you just know that they're hiding behind a bush making faces at you. In your role as product manager or entrepreneur, a big, juicy list of competitors will help you figure out what you're up against - but how do you find them, exactly? With a bit of lateral thinking, channeling, and magic from the Great Google Gods, that's how, and that's what we'll be talking about here. An important step you should take before you start looking for competitors. The difference between known and unknown competitors. A simple tip to help you figure out your known competitors if you're working as a product manager for an employer (it's ok, we won't tell your boss that you don't already know). Why problems are an opportunity when looking for competitors. A real world example of how to analyze a customer's problem to find information you can use in your competitor search. Three brilliant techniques for finding unknown competitors using the above findings. How and why you should channel your users (spooky voice: Ouija board optional). How individual complaints can uncover hidden competitors. Three suggested sites for leveraging the power of customer conversations. How product descriptions can be used to find competitors. Why developing a one-sentence product pitch can help your competitor search. Pro tips to help Google join the dots and work their magic on your behalf. Now that you've gone through the competitor discovery process and figured out who you're up against, you might be sitting there looking at your long list with a slow-dawning sense of terror. There are people out there. Doing stuff a lot of what you want to do. That's a scary thought, right? Hang in there, delicate flower, because it's all going to be just fine once you learn to categorize your competitors. Why categorizing your competitors matters. Learn how to distinguish between the four different competitor types. Walk through a hypothetical example of each (hint: it helps if you like Italian food). How categorizing your competitors helps you to prioritize. Which of the four competitor types is your highest priority, and how to rank them. A real world example as I break down the competitor list from the previous lecture into the four categories. It's up to you to get your company to the top of the mountain, but first you have to properly identify the four different types of competitors, then you may pass. It's not enough to know who your competitors are, or to have sorted them into nice, neat categories. As a product manager or entrepreneur, you've got to really know them and understand them. You need to have a handle on what makes your competitors tick. Fortunately, that doesn't necessarily mean getting up close and personal (unless that's your thing), but it does mean keeping tabs on five crucial criteria, and we're going to investigate the first two in this lecture. Understanding your competitor's product core. Why you need to know how good your competitor's engineers, developers, and wizards really are. Why size matters - understanding the implications of your competitor's user base size. What a large user base means in terms of competitive impact. The last three criteria for understanding your competitors will help you figure out how you can exploit their weaknesses (mwahahaha) while protecting your own competitive edge. I'll show you a real world example for each criteria so that it all starts to make sense. Let's get on with it. How to not underestimate the value of something pretty - how design figures in your competitive edge. Understanding the importance of brand in your marketplace. How and why people's perceptions of your brand can be both a blessing and a curse. Speed as the fifth and final competitor criteria. Tinder was launched to address the social and physical barriers of forming new friendships and relationships. Using social data, Tinder anonymously finds people nearby that like each other and connects them if they are both interested. People in all 196 countries around the world are swiping right to connect with others, making it a top 10 lifestyle app in >70 countries. 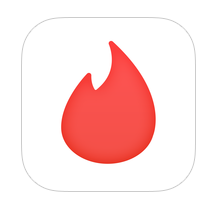 In 2015, they introduced Tinder Plus, giving users access to premium features, Rewind and Passport. Each day, 26 million matches are made with more than 10 billion matches made to date. Coffee Meets Bagel is a free dating service designed for busy singles who want to find something real with little or no effort. Coffee Meets Bagel selects and recommends ideal matches based on mutual friends, common interests, location, and some of your own preferences. Coffee Meets Bagel not only selects the most compatible matches for you (using a proprietary algorithm), but also facilitates the actual meet-up to get you into the real world. Every day at noon, Coffee Meets Bagel introduces you to one single who is a friend of a friend. You must LIKE or PASS your match within 24 hours. A Mutual LIKE leads to a private chat line that expires in 7 days. So much information, so little time. When you can't possibly hold any more nuggets of gold in your head about what your competitors are up to, you need a feature table. A what? A feature table. No, not the fancy three-legged monstrosity your aunt insists is a period piece and solely exists to knock your shins every time you walk past. A feature table. Huh? All will be revealed. Why you need to know how competitive your product is. How a feature table can help you figure out how cutting edge (or not) you are before making any costly mistakes. Feature tables as a useful visual aid for your team. Are you one of those people who never reads instructions before building something? Yeah? I think I've got some of your bookcases in the office. If that's you, you could skip this lecture, but you'll end up with a wonky feature table that doesn't do the job it's supposed to do so.....that's your call. For everyone else, let's dive in and look at a template of a feature table you'll be proud to call your own. How to draw the table (Google Sheets or Excel will do if you have a pen and paper phobia). Which competitors to pick for your first (and most important) feature table. Why you absolutely have to stay up-to-date with your direct competitors. How a feature table can show you at-a-glance whether your product is better than your substitute competitors. Choosing which features and factors to analyze in the table. The importance of knowing what's important to your target customers, not your competitors. An example of what a feature might be versus what an ability might be. In this activity we're going to talk about Oculus Rift. That thing that threatens to change the world or change absolutely nothing at all. There's only one thing it can guarantee - you will look ridiculous wearing it. Let's talk about this new "king of fads" or "changer of all games" (depending on your perspective). We'll go over OR's new VR set that is A-OK and discuss its core features and product offerings. At the end of the activity, you (yes you) will get the opportunity to create your very own feature table and post it in our collaborative class workbook (really just a Google sheet). OK, who's ready to come out of the sandbox and build a real feature table? Exciting stuff. In this lecture, you can play along as I build a feature table for our favorite product (you know which one) and see how it ranks alongside its direct competitors for various features and factors. Follow my thought process for choosing which features and factors to analyze. Learn how to gather the information you need to fill in the table. The importance of actually using your competitors' products. Learn more about action cameras than you probably wanted to know. Questions to ask yourself that will help you analyze the data in the completed table. Wunderlist does wunders (get it?) for many things from recording to-do lists and setting repeat reminders to keeping your project team on track. Launched in 2011, they have over 13 million users. But Wunderlist has a classic Product Management dilemma. They have a free version and a paid version. In order to continue to grow their user base, they need to have a competitive feature set for their free version. But in order to make money and sustain their business, they need to be able to convert those users into Paid customers, which most likely means withholding features from their free version. Competition in the space has increased dramatically, with apps like Evernote and Trello constantly one-upping themselves with more and more free features. Wunderlist is being squeezed at both ends of their customer funnel. In this case study, I want you to put on your PM hat and pretend you're making the call for Wunderlist's product team. Use the data and the feature table provided to make the call - what would you do in their situation? What Do We Ultimately Care About as a PM? You know the drill, let's get on with it shall we? Now we're getting into the fun stuff...you better keep up. [POP QUIZ] You Down with MVP? What's a minimum criteria for success? This was a fun hands-on section wasn't it? Feeling good about your path to product manager success? Well here is a quiz. Sorry if it ruins your day. Did you see what I did there? With the title? Come on now! Let's get to it. You're right in the thick of it now! Product management! How does it feel? Onward.